The same could be said of the online blackjack world. It’s easy to lose, before you even start playing, with hundreds of different versions of 21 games available to players from all around the world. If you show some effort and ingenuity in your online gambling you can greatly increase your chances of winning. Look for the most liberal rules, the ones that have the lightest house edge. 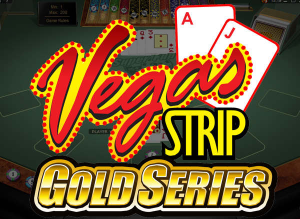 Don’t go chasing fool’s gold in a variation of blackjack which might have triple the house edge of a regular game; and, most importantly, play at casinos within a respected licensing jurisdiction. Online casinos have lower running costs than land-based casinos, they don’t have to pay rent, or as many staff and are slugged with far less tax. This means they can afford to give more back to the player and in turn offer games you would not find on low-limit tables in bricks-and-mortar casinos. Having said that, the online world also caters for the whales, with high-limit tables in both graphical interface games and live dealer. We will explain more about the different games on offer below. There are not many countries where you cannot play some form of blackjack for real money on the internet. Even countries where online wagering is frowned upon, such as the USA, have options to play this casino favourite. At The World Gambling List we take our blackjack seriously. The swagger some of our staffers have when they stroll to the table at various casinos around the world is embarrassing, to say the least. But, despite this posturing, we are experienced in how the game works and what it requires to makes the most of your blackjack experience. Here are a few key things we look for in a blackjack game when playing online. House advantage: Different versions of blackjack have different house edges. The house edge of games is obviously important – you want the best chance of winning; so check the statistics of games before playing them. We will list some of our favourite variants with good house edges below. The lowest house edge you can hope for is 0.13 with this usually found in games with an early surrender option available. The opposing view was: “I like to see my cards being dealt, I trust the dealer more than a computer.” I’m just going to let them duke it out and report their findings in future articles. Whether you want to play live dealer and potentially suffer a hit in house edge, is definitely your call. You will find live dealer games with low house edges, but the minimum bet might rule some people out of playing. Reputable platform: Remember a software provider a few years back called BLR Technologies? We hope not, they were proven to have a rigged craps game. The online casino industry has been plagued with accusations and proven cases of casinos running rigged software for their games. These days there are measures in place to make sure players get a fair go. When you are choosing your online casino, look at the software providers they use. You need to look for brands such as Microgaming, Betsoft, Net Ent, PlayFors and several others, that will be discussed in other articles. Reputable software providers have to undergo licensing to have their products used at online casinos. They are forced to abide by strict standards and are held accountable by bodies such as eCOGRA. Know your limits: Always bet within your means. If you visit one online casino with a minimum bet too high for you on the live dealer tables, try another casino. You will find they vary from site to site and game to game. An example of this is LeoVegas.com which has $25 minimum tables, unless you play Party Blackjack. You will find tables with lower limits at other online casinos. There are some people who simply don’t like gambling on random number-generated games, this author being one. The advancements in online technology and low compression video mean live dealer blackjack is now a game played by millions around the world. You can stream live games on to devices as diverse as your mobile phone, your smart TV, tablets and of course the old-fashioned desktop computers and laptops. Here is a handful of our favourite live dealer blackjack games, what sets them apart, and where you can play them. Ezugi: This is a software platform which specialises in live dealer games. They offer plenty of others, but the blackjack is right up there with the best of them. The video is crystal clear, the layout is fresh, there is a chat option, high- and low-limit tables and generous rules when you know where to play. Microgaming: Another live dealer software provider which is known for an outstanding offering. The giant of the industry has been providing a live stream for years and it has only gotten better. The interface is instant-play, the house edge and table limits are set by the casinos themselves, but generally MG casinos will cater for all types of players. Evolution gaming: While it won’t be everyone’s cup of tea, Blackjack Party has been a huge hit since being released by this software company. It features a young girl and guy bouncing off each other in a somewhat entertaining manner. Their other live dealer games are also crisp products and are definitely worth a look. This is subjective, of course. There will be people with other opinions out there. But we will do our best to justify why these are our favourite blackjack games to play at online casinos. Pontoon or Spanish 21: Pontoon is huge in Asian countries such as China and has jumped an ocean or two to emerge as a live game in Australian casinos. If you are familiar with Spanish 21 you won’t find it hard to pick up and it’s available in both live dealer and RNG form at trusted casinos. The 10s are removed from the game’s decks, the dealer has no hole card and the second card isn’t revealed until the end of the round. The house edge varies, depending on rules, and is anywhere between 0.34 and 0.5. Single deck or classic blackjack: Every decent blackjack player knows the number of cards in the shoe is key to decreasing house edge – the fewer the better. While you will struggle to find single deck at a bricks-and-mortar casino you will find these games in RNG form at some online casinos. We’ll let you know if we find a live dealer version worth its salt. Games will have a house edge of anywhere from 0.13 to 0.28 depending on rules. Atlantic City blackjack: Make sure the online version of this game you find allows you to double down. Obviously this game was developed in Atlantic City but many online casinos will have it. The house edge is .36 when played with eight decks. European blackjack: When you are playing eight decks, it has a house edge of .42. We include this version because many of the online live dealer tables play these rules. If you want to play live dealer you are not being stiffed with this house edge. There are hundreds of online casinos with blackjack games suitable for what you probably need. The mission is to find the casinos that will look after you. For starters you need deposit options that suit your country, you also need to be aware that you may need to withdraw your winnings. We have heard reports of USA-based players struggling with withdrawals from online casinos, so we urge caution before depositing. Read reviews (preferably ours) and do your research on a prospective gambling website before committing real money. Most online casinos will accept Visa but not all will allow withdrawals in this method, so after making sure you can deposit, be sure there is a suitable way for you to withdraw your funds in a timely manner. If there are only international bank transfers available be aware it may take a week for you to receive your winnings. Obviously the casino needs to have the blackjack variant you want. Generally an online casino will allow players to trial the games in freeplay mode. The table will usually have the rules available and the house edge displayed, so you can find any information you would like without depositing money. There are also these ‘enticing’ casino sign-up bonuses which we refuse to promote too heavily on this website, simply because most have many caveats attached to them. If you are signing up at a casino because of a sign-up bonus you know nothing about, you are on the wrong track – it may have heavy wagering requirements or other hidden tricks.